Transport for the North, working in partnership with Northern and TransPennine Express, will this week launch the first stage of their Smart on Rail project. The initial phase will be run on rail lines between Hull, Scarborough and Malton, before being rolled out across the network. The initial focus is on upgrading customers’ tickets from paper to smartcard, starting with passengers buying season tickets on a smartcard at a ticket office. This has been enabled with the upgrade of station ticket offices across the North in readiness for the move to smartcards and will eventually support contactless, capped payments right across the bus, tram and rail network. 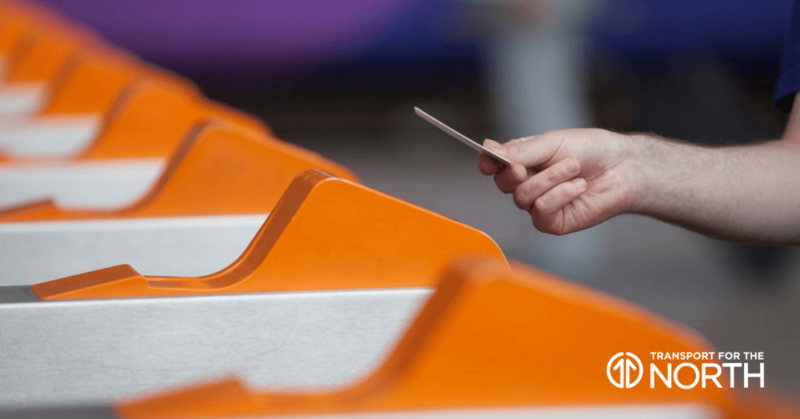 Rail passengers will see a series of improvements to the way they buy and use tickets over the coming months, including being able to buy online and load tickets on to their smartcards at gatelines, such as those at Leeds, without having to queue at ticket machines or ticket offices. The work on the rail network is the first phase of Transport for the North’s Integrated and Smart Travel programme. Funded by the Department for Transport and part of the Smart Ticketing on National Rail (STNR) programme, the project will deliver the full initiative over the next few years. When all three phases are complete, it will be easier for passengers to make multi-mode, multi-operator, price-capped journeys across the North in ways that are simpler to plan, easier to pay for and access, and better value for money. The ultimate aim is for customers to be able to use contactless bank cards and trust that they will be charged the best price for that day’s or week’s travel. Further details and key dates for the Integrated and Smart Travel programme can be found at www.transportforthenorth.com/ist.